The days of the meeting room projectors are now numbered. According to Futuresource there has been a continual decline in projectors being sold with the latest figures reporting a 7.5% drop. Instead of a one-way meeting in which the presentation is being demonstrated on a whiteboard or powerpoint without the feedback you’re looking for, interactive display boards offer the opportunity for all participants to engage with information being discussed. Files are also shareable, and participants have the opportunity to utilize different tools available to edit the presentations. 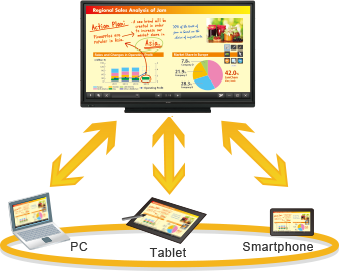 Rather than the audience in the meeting struggling to keep up with powerpoints and taking down the notes they need, interactive display boards can present the information more effectively using various media tools at hand. Another perk of going digital includes the ability to screenshot important points and emailing them to whoever they please. You’ll have no problem connecting your interactive board to all iOS and Android smart devices with a single app, ensuring you have a greater range of data sharing and interconnectivity. To stay afloat in any industry today, innovation is a must. Your competition will always be looking for ways to get the upper hand, and technology is becoming a prominent part of this hunt. 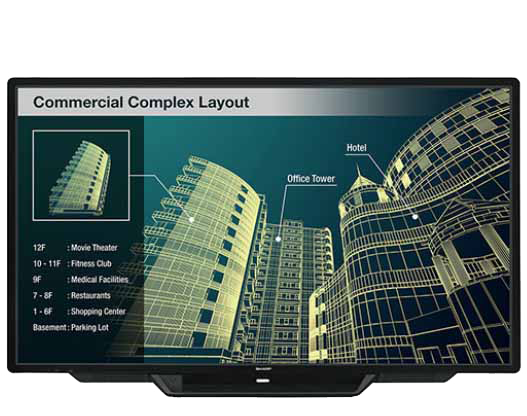 Interactive display boards are a great way to enhance your communication and improve business productivity.